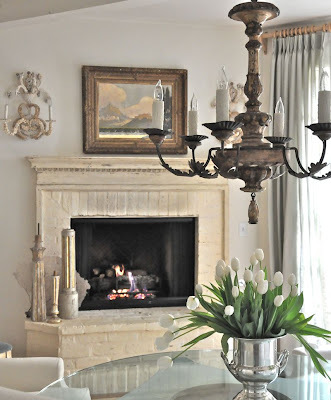 If you can't tell from my blog header, I love succulents, candle light, white florals and all things rustic and chic. It was a big theme in our wedding and I initially considered naming the blog "Rustic Chic"-but the name was taken (darn!). I feel like living in Tahoe has allowed me to marry the two ideas together...the mountains, pines and lake are so beautiful, rustic and serene and yet, I still love the idea of chic elegance-a little sparkle and luxury. 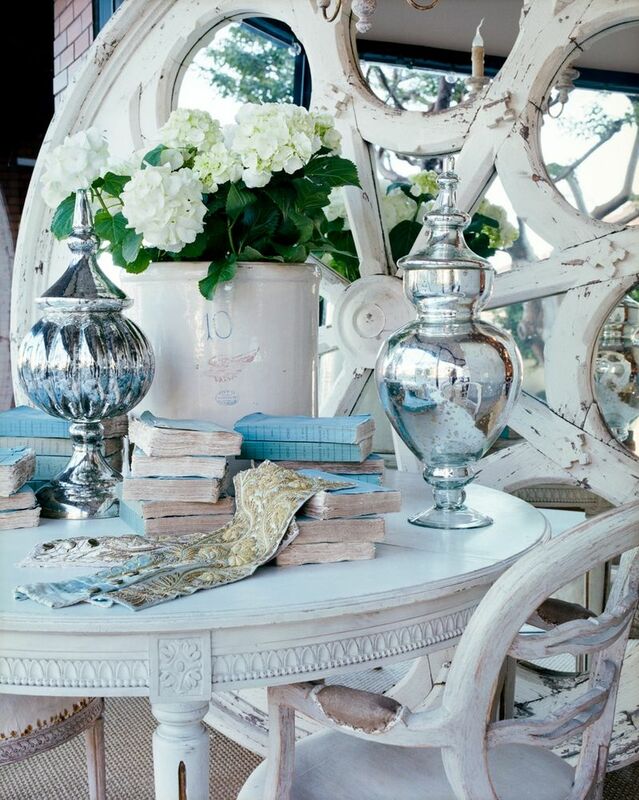 Below are some lovely images I've recently found that sum up my idea of rustic chic quite nicely. 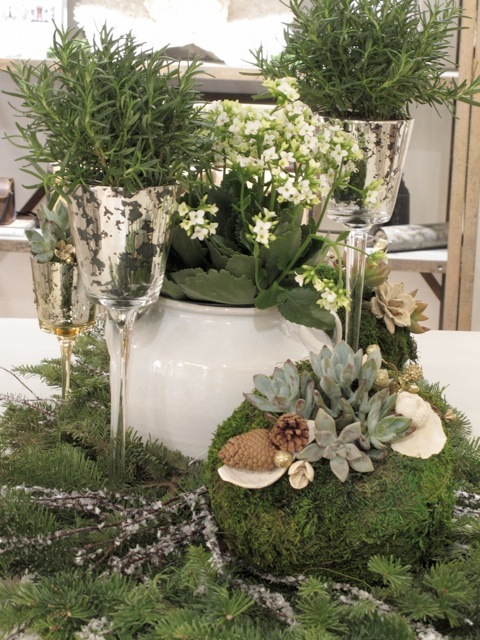 Mercury glass and succulents? Love! 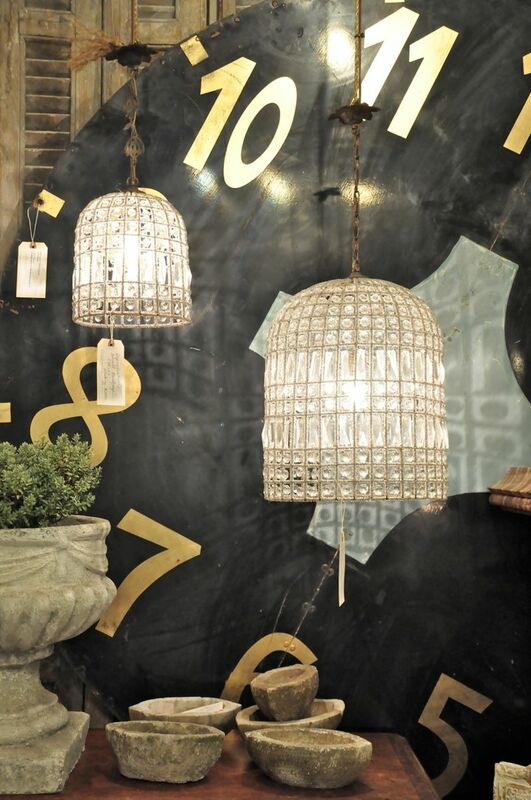 I love the juxtaposition of the crystal chandeliers and stone bowls. All images are from the lovely Velvet & Linen-which is a great "rustic chic" name don't you think? She has amazing ideas...I've spent countless hours pouring over her website. 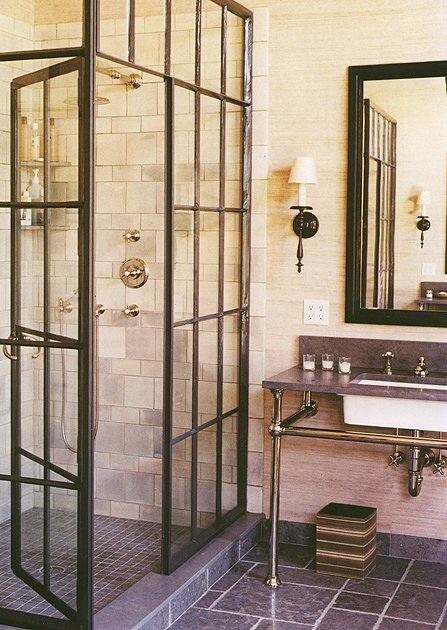 How neat is this factory store window for the shower enclosure? Love the idea of this barn door...maybe a good fix for our hallway laundry room? 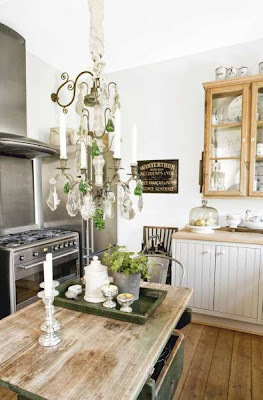 I love a great chandelier and having one in the kitchen adds a wonderful touch of elegance. And since my pine wreath is dying from Christmas (is that embarrassing that it's still on my front door?) I thought that a rustic succulent wreath would be a lovely replacement! 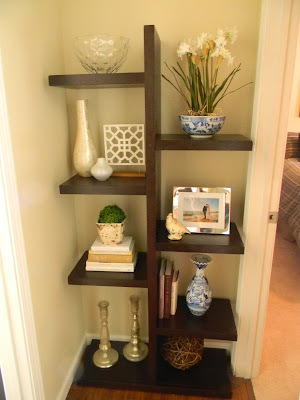 I've seen lots of great DIYs online, so poke around and let me know if you've attempted this yourself. I think the green and blue adds a nice touch of color. Thanks again for all the great feedback! Love all your rustic chicness! :) That wreath is AWESOME! I've seen some tutorials online too ... if only I'd bookmarked them! OH, I just love it. This is totally my style...and I agree, such a perfect name- Velvet and Linen. Happy Monday, friend! I feel that we have the exact same taste, these pictures are gorgeous! And that succulent wreath is amazing. 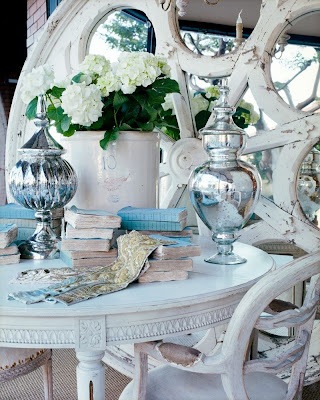 I'm a big fan of rustic chic, too...and those inspiration pics are so fabulous! 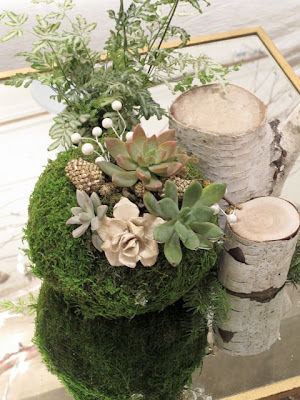 I hope you let your bloggy friends know if you do that succulents wreath, it is so freakin' awesome! I grew up in Buenos Aires where the climate is quite humid. Succulents grow very well down there so my mother always had them all around the house. I love them. I adore that wreath, especially with those very nice blueish tones! All of these images are beautiful! Last month I put together a table setting with a few succulents - it's going to be my guest post on Remodelaholic this week. Great minds think alike, right?! I've wanted one of those succulent wreaths since Martha first talked about them - they are gorgeous! Love your bookcase too! Natasha I found you through, who else....Brooke. 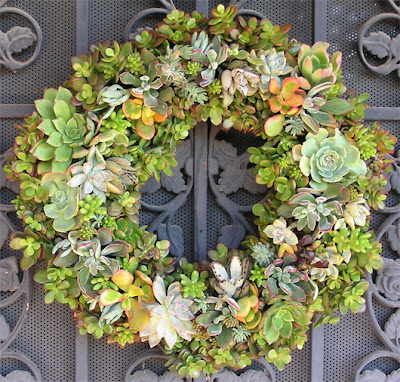 Great site and I love the succulent wreath!! Natasha - I'm visiting from Brooke's blog. Love the photos! 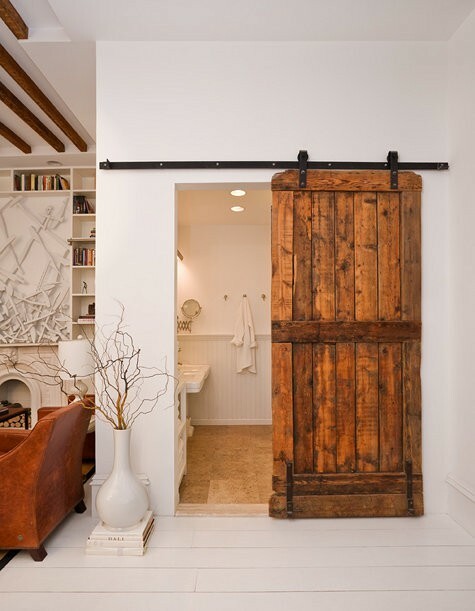 That barn door is a beauty! I'll be back! 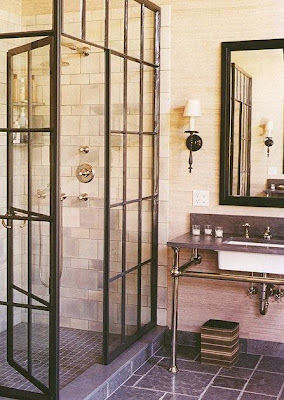 These pictures are gorgeous, so clean and chic! Beautiful! Rustic chic - love it! I don't believe I have ever owned a succulent - I think I might need some around here - they are so pretty! And I too love Velvet & Linen - I could spend hours there. 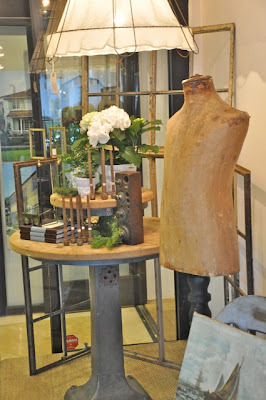 Love her design style, lots of earthy neutrals - just gorgeous.